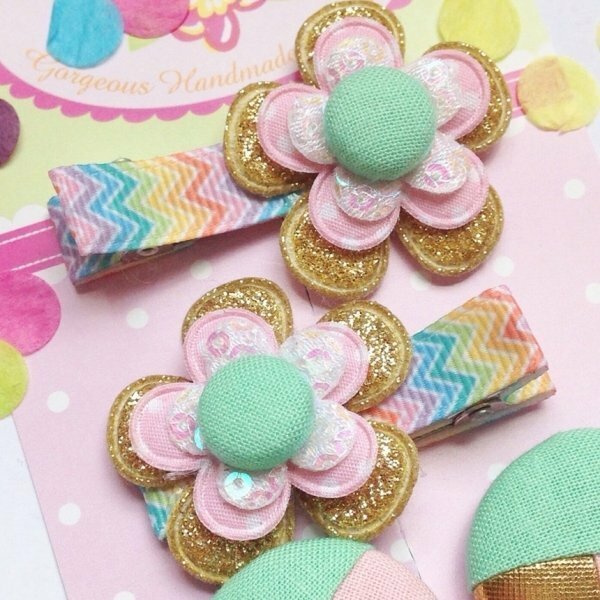 This set of pastel rainbow 'Fruit Tingles' hair clips are just adorable. The dreamy pastel tones of pink, purple, blue, green, yellow and orange with a splash of gold glitter make these a lovely addition to any spring or summer outfit. Set of non slip girls hair clips. 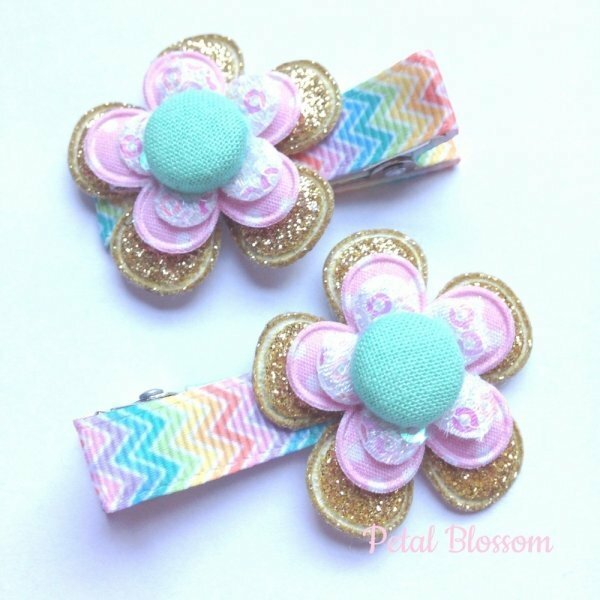 Many more gorgeous hair clips available. *Supervise young children while wearing headbands or hair clips as some may be a choking hazard.